We are a cooperative-style Gallery, with the basic Mission of providing a place for Local Artists to exhibit (& hopefully sell) their own work in their own way. Most of our exhibiting Artists would not have a place to show and sell their work if Gallery La Crosse did not exist. Over the years, our exhibitors have ranged from College students to folks in their eighties. There is not any other entity in our region which provides the same unique mix of service to our Local Artists and to the Community. We opened in August 2008, are in our eighth year, and Ann has not ever taken a wage for her time staffing at Gallery La Crosse. And, she has actually rolled most of the proceeds from her own sales back into the Gallery La Crosse project to keep it going. This project is her long-time dream, which she followed after suffering a heart attack due to a congenital heart defect which cannot be repaired. She and her husband, Dan, have also covered a great many Gallery expenses from their household income as a Nurse (now only able to work on-call) and a truck driver. At this point (February 2016), we are struggling to survive, and due to several recent health problems and medical bills, Dan & Ann are not able come up with money to supplement the Gallery. We are hoping that, out of the billions of people in the world, some will be willing and able to help to sustain the Mission of Gallery La Crosse. One of our goals in this appeal for help, is to obtain the funds needed to convert Gallery La Crosse to officially being a Non-Profit entity, as for almost eight years we have essentially been a Non-Profit. That status would allow us to apply for Grants and to partner with our local schools to provide Internships for students in Arts and Business. The process is complex and expensive, and will require help from an Attorney to complete. You could visit our Facebook Page "Gallery La Crosse" &/or our website www.gallerylacrosse.com for more information about us and our Mission. Our Mission Statement also follows, below. Thank you ! We are extremely thankful for every Donation, no matter how small. When many come together with small things, great and wonderful things are achieved. Every penny we raise will be put to sustaining the Mission of Gallery La Crosse. 1. Promote connections between Local Residents and Local Artists & Crafters, in a unique family-friendly retail setting. own sales; in Gallery La Crosse, via various off-premises venues, and on-line. 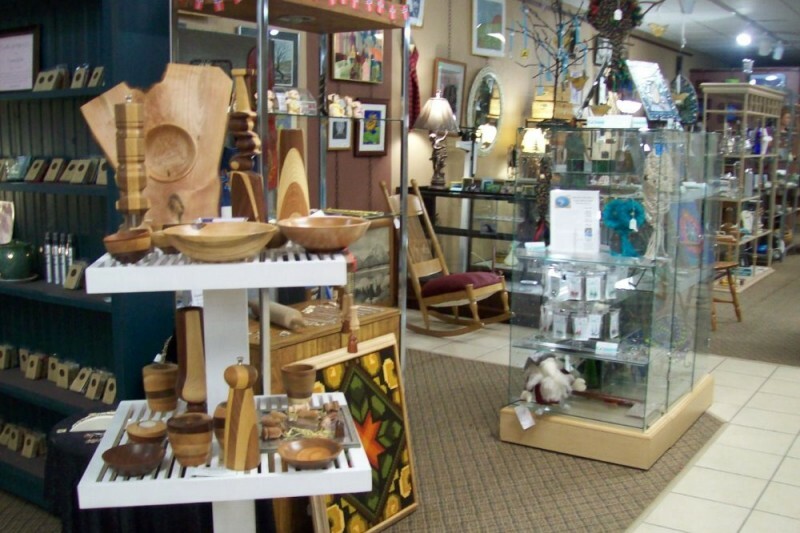 Retail sales and Exhibit Spaces for Local Artists & Crafters. 4. Present for the Local Community a variety of fun and affordable Arts & Crafts classes, taught by our Exhibitors. 5. Promote networking opportunities for our Exhibitors through a combination of Public Receptions and invitational gatherings. 6. Give back to the Local Community through; Benefit shows, Sharing our space for various Community groups' meetings, and enthusiastic Participation in community events. Please, consider donating the cost of one day's coffee, to support our Mission for Local Arts. Every penny will make a difference for us in the short-term. For now, we really, very swiftly, need the help of a few hundred dollars. If everyone who enjoys what we bring to the La Crosse region would donate just a dollar or two (and find a friend willing to do the same), we'd be safe. Understand our Mission, & need for help. Years ago, there were 2 people very different from each other and in very much in love with each other. They had dreams together, but were too young, they were 19 years old and were engaged. Each went on to live separate lives creating families and loved by others. One was this wonderful woman named Ann, a woman that once saved 80% of her paycheck as a loan to help someone graduate from UWL. That someone was me. Good deeds are never forgotten. Hopefully others helped by Ann will be inspired to contribute as well. Ann, thanks for being part of my dream and part of who I am. Now you and Dan complete yours. Go get an attorney to become a non-profit.